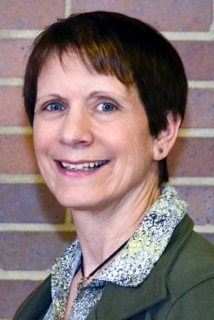 Holly Clemens, Ph.D., is an Associate Professor of Sport & Exercise Studies at Cuyahoga Community College, Parma, Ohio and has been teaching at the College level for 20+ years. Her teaching areas include kinesiology, exercise physiology, biomechanics, exercise testing and exercise prescription. Holly holds a Ph.D. in Health Education/Health Promotion, M.Ed. in Exercise Science, and B.S. in Physical Education. She has been involved in the fitness industry for 30+ years teaching a variety of movement based activities to sport teams and individuals in fitness and corporate wellness centers. She has presented numerous health, fitness and wellness workshops in the Ohio and surrounding area. Holly is an ACSM-Certified Exercise Physiologist, AEA Certified Aquatic Fitness Professional, Fascial Stretch Therapist-Level III, Neurokinetic Specialist-Level I, NSCA-Certified Strength and Conditioning Specialist and Certified Personal Trainer, ERYT-500 with Yoga Alliance and Thai Massage Practitioner through Lotus Palm School. Holly has immersed herself in anatomy over the years by participating in numerous full-body dissections with Tom Myers, Todd Garcia and Gil Hedley. She completed a 3-week intensive with Gil in 2014 and is assisting dissection labs with Tom and Todd in Phoenix, AZ.